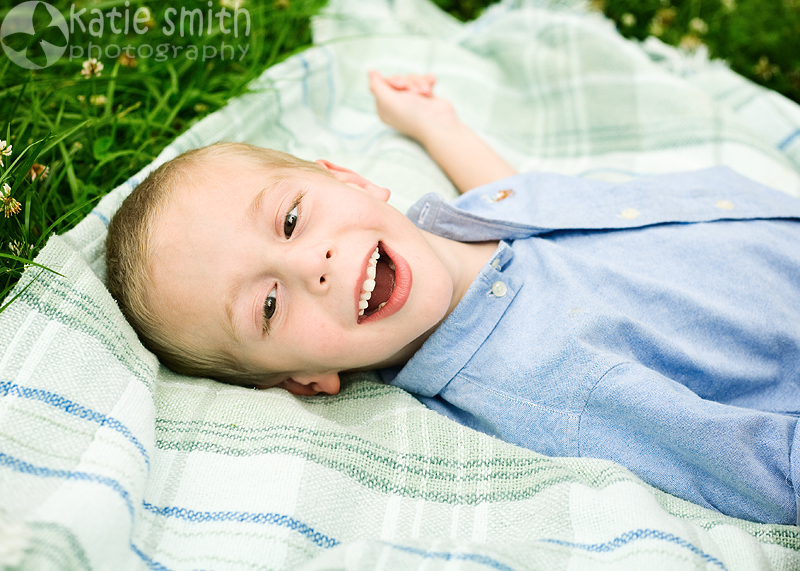 Thanks to the Littlest Heroes Project, I got to meet L and his family at Old Salem for some family portraits. I loved these brothers. Big brother H was too funny. He wiggled his way into almost every picture and loved to talk. And L was a charmer. He had a lip tremble that could break your heart and his smile was amazing. G Family, it was great meeting you! Enjoy your photos. 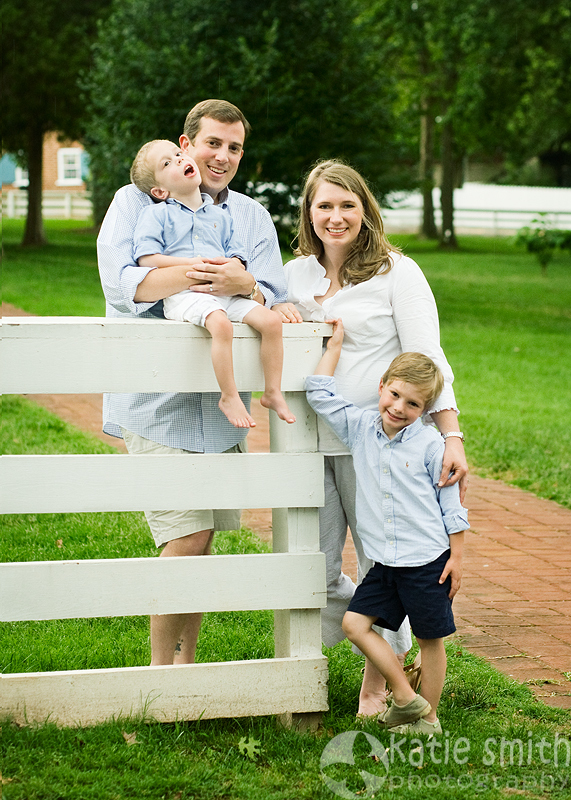 Katie Smith is an on location photographer specializing in family and child portraits. She serves North Carolina’s Triad- Winston Salem, Greensboro, High Point, and Kernersville. All content of this blog is copyright 2010 by Katie Smith Photography. It is illegal to copy these photos. What BEAUTIFUL photos….you caputred the essesence of brothers with that photo of the two of them!!! There is something about brotherly love. My favorite one is the one with the two boys looking at each other on the blanket. I love how the little fella’s arm is curled around his brother’s head so sweetly. All the pics turned out really well. Cute boys and cute family. Another GREAT set of pictures! I love seeing your work! I have never met this family, but feel like I just caught a glimpse into their life and personalities!! LOVE the pic of the brotherly love as well!! Love them! The pictures themselves look so crisp and clean, the family looks so happy. 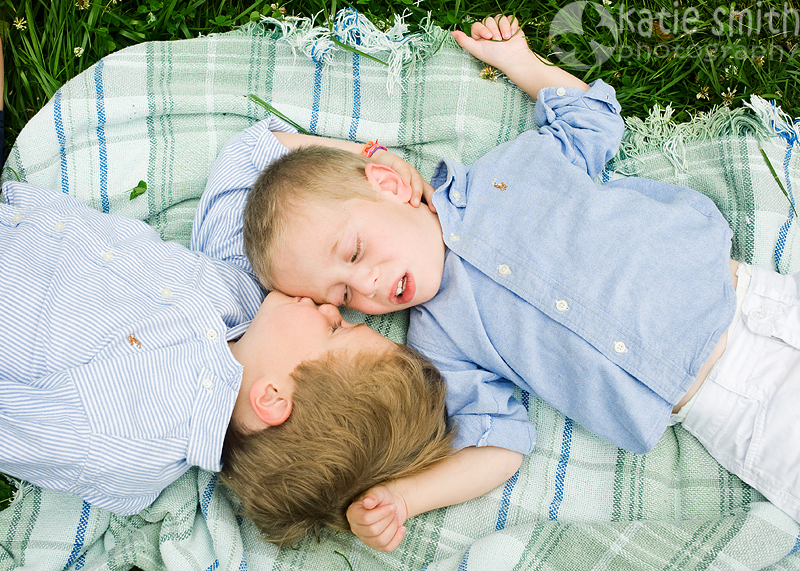 I, too, love the brothers shot…but I am a sucker for cute brothers! Wow! What BEAUTIFUL photos, as usual! They are a wonderful, beautiful family. The photos of the brothers together are absolutely adorable! These photos touched my heart. Even without knowing them, I can just feel the love in their family. Such sweet sweet photos! Oh Katie, these pictures turned out really good. I to have to say that my favorite picture is the one of the 2 boys on the blanket, you can see the love and special brotherly bond that they have. What a great looking family. Katie, The photos are absolutely beautiful! Thank you so much for being so patient and kind. We feel so lucky to have been able to have that session with you! These photos are so beautiful! 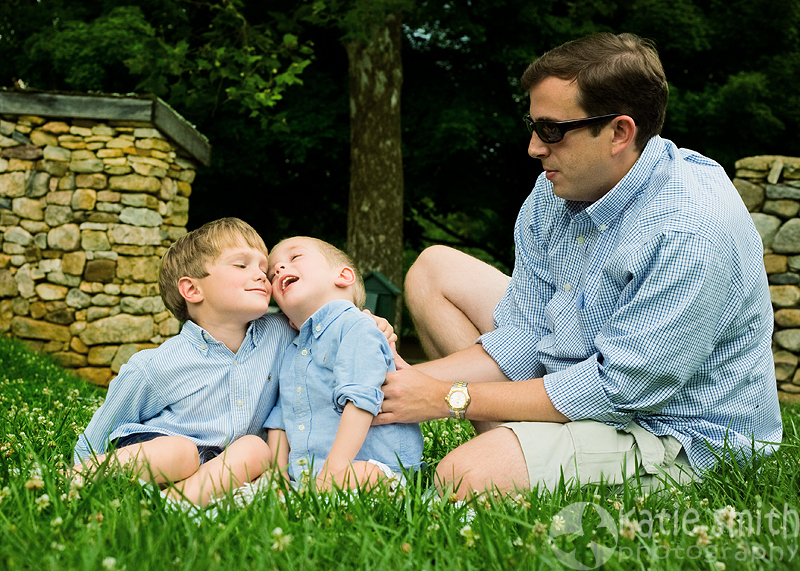 As the proud Aunt of H & L, I am especially touched by how you captured the boys love for one another. AWESOME!